I think you may be mistaking the insurance company with the broker and their roles and responsibilities. Although the cover is arranged through the broker and you may communicate solely with them, it is the insurance company that would have made the decisions and set the parameters in view of handling the claim. For example, approving which repairer can be used and any terms relating to courtesy vehicles. I recommend referring to the insurance companyâ€™s policy booklet for confirmation of their terms and conditions. Youâ€™re comments are incredibly misleading and gives the impression that Adrian Flux Insurance made the decisions. This is not true. A broker cannot be held responsible for forwarding the decisions and terms of the insurance company. I suggest that you pursue any concerns relating to the handling of a claim to the insurance company. Its just my opinion and my experiences of dealings i had when i was insured with you guys..
You're not alone dude. The general rule applies to ALL insurance companies that they'll happily take your premiums but when you need to take advantage of your paid for policy they send in an "assessor" who will both nitpick and attempt to figure out ways to void your claim etc... Sorry for crapping on this thread but i'd like to be proven wrong. My references are in fact for genuinely non-fault claims. BMWvwSubaru wrote: when i was insured with you guys..
You weren't insured with them though. You would have been insured by Highway or someone else The insurance was arranged through them. I have to say I've had quite the opposite experience from the above...I used to be insured with Bell/admiral on my early BMW's...before I stumbled into AF through a friend who was satisfied. Also I got help insuring a car very cheap on a track day! Via private email...Its little touches that make these guys worth a look. 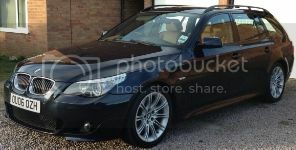 Hi I have e46 330ci due for renewal in a couple of months and start looking for quotes. What would I be looking at mate please? RobQ7653 wrote: Hi I have e46 330ci due for renewal in a couple of months and start looking for quotes. What would I be looking at mate please? If you can pm me your details and i will arrange a call back for you. Please pm me your full name, postcode and contact telephone number and details of any mods to the vehicle. can u do a qoute for me please??? why has the premuim gone up 100%???????? Yeh mine has gone up 100% but I'm not surprised as I went from a 1.8 to a 2.8 and have just had a driving ban. I have allways had good service with flux even when I had a crash. I got a courtesy car within 2 hours and they didn't even want it back, I had the car 4 weeks after the claim went through and I bought a new one. my insurance has just been renewed with you and i received an email saying its all taken care of so i dont need to do anything! which is ideal as im out of country till next month! but then i got another email aking me to send the mods declaration back etc just wnadering if you could do anything about that as nothing has changed since the end of the policy! another thing is that im a big fan of having my direct debits coming out at the start of the month as they have been doing! so wandered if that would continue? and if not could you change it to that? If you pm me your policy number and an email address, I will look into this for you.